Being an expatriate has the advantage that you meet people from all around the world and make really good friends (especially with family far away). The down side is that you say your fair share of farewells. The reason for this foodie haul is that A and her family are leaving for South Africa. We haven’t seen that much of each other in the past year as our daughters are now at different schools but knowing that she is 15 minutes drive away is different to Johannesburg. 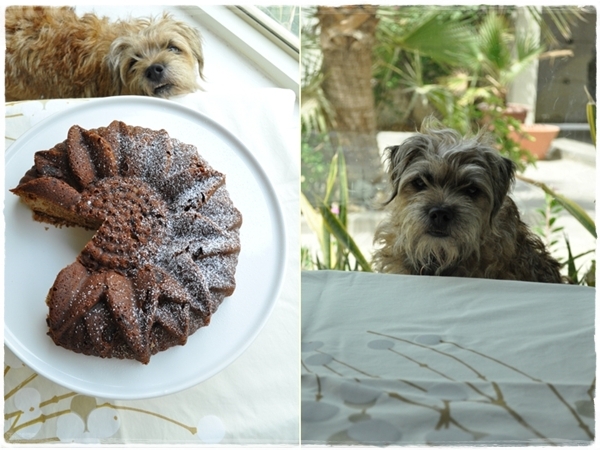 …so there was only one thing to do to console the sad, achey feeling – make a warm, comforting cake. This spiced, apple cake borrowed from Joy the Baker seemed to fit my mood. I’ve changed the ingredients list to weighed measurements (you know my dislike of volume in baking) but if cups are your thing pop over to Joy for this and how to make it. You could also use a bit of wholemeal flour but I would add at least another apple to keep the moistness. Thank you my lovely friend, I’m eating a slice of this cake, drinking a cup of tea and wishing you all the best for your new life. Au revoir. I’m sharing this post with Nina’s Kitchen – an exuberant blogger in South Africa – for her ‘Apple Affection‘ Monthly Mingle (brainchild of lovely Meeta from What’s for Lunch, Honey?) I’ll pop a link to her apple recipe round up at the beginning of July. P.S. Hazel, who likes apple cores a lot, was clearly very interested in apple cake too! For the method pop over to Joy. This is great served on its own or with a dollop of calvados cream (creme fraiche sweetened with some seived icing sugar and a dash of calvados or apple brandy). Note: If you have a similar sunflower tin, this amount of cake mixture wasn’t quite enough to fill it. I would make half again in quantity and be generous with the apple. I know exactly what you mean. I am going to say goodbye to a friend later this morning who is leaving Dubai for good in a couple of days. Farewell and all the best to all those who grew close to our hearts. I never give up hope that one will see each other again. My only way to cope with it. It’s tough, but on the upside, it does mean you have lifelong friends in every corner of our planet to go and visit! Dubai is a transient city, and you never quite get used to people leaving. The song lyrics brought a little tear to my eye, I will noting that one down in my book of quotes. Also, gorgeous pavloval and apple cake. Really sad that your friend left. 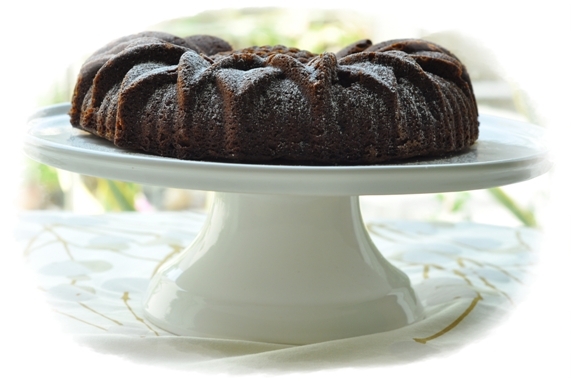 Apple Spiced Cake. Mmm. It looks soo delicious. That’s very kind Cindy – will do. Yes Hazel sat at the end of the table like she was waiting for it – It made me laugh out loud. Imagine being an expat here your whole life; definitely had way too many farewells. I can relate wholeheartedly. Wish your friend all the best. This cake looks mouthwatering-ly gorgeous! I know what you mean. Saying good byes is always hard! The cake looks fabulous and so does that cake tin! I love apple and spices so this really calls out to me. That cake form is exceptional and really make the cake look elegant. Thanks for joining the Monthly Mingle Sally! These photos are incredible, especially that first one, such a picture perfect (and I’m sure drop-dead delicious) cake! New York was sort of the same way for me…friends come and go in such cities…but the ones that are the closest to heart will continue to weave themselves back into your life, no matter where in the world they may be. How sad that your friend is leaving – I too am heading back home to South Africa next week – Sundays River in the Eastern Cape though. How wonderful that you will have your treasured friendship to always hold onto. 😉 The cake tin is so pretty! I hope Hazel got just a little bite of cake. That apple cake looks incredible–love Joy the Baker too! well the best part abt technology is that ur never really away! i am sure u’ll find a way to bridge the distance sally 🙂 friends will always be cherished no matter where in the world they are! living in NYC and dating a hotelier meant a lot of farewell parties for us….they never get any easier. the monthly mingle looks like fun – can anyone join in? The spice cake is gorgeous. 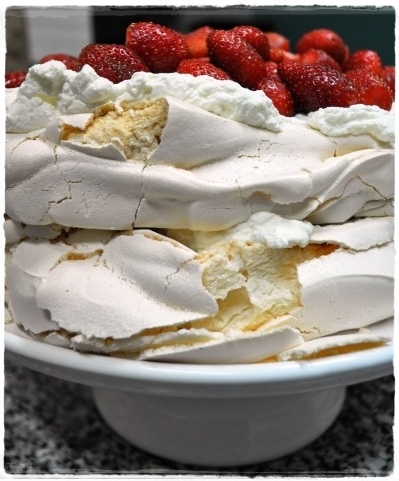 And the pavlova is lovely too! Good friends are the spice of life, right? Even when they are far away. Yesterday, I was given some lovely pears. They are ripe and ready for eating, but may not last much longer! Do you think this recipe would also work with pears? Yes sherri I do – perhaps change the balance of the spices a little…either use all mixed spice or lessen the cloves and up the nutmeg. I would saute the pears for a shorter time too (depending on how ripe they are) to keep a good texture. I would use a higher quantity of pear too – at least 750g worth. Let me know how you get on. You had me at the first photo, it’s stunning. I will surely make this in the fall when I will have apples coming out of my ears! 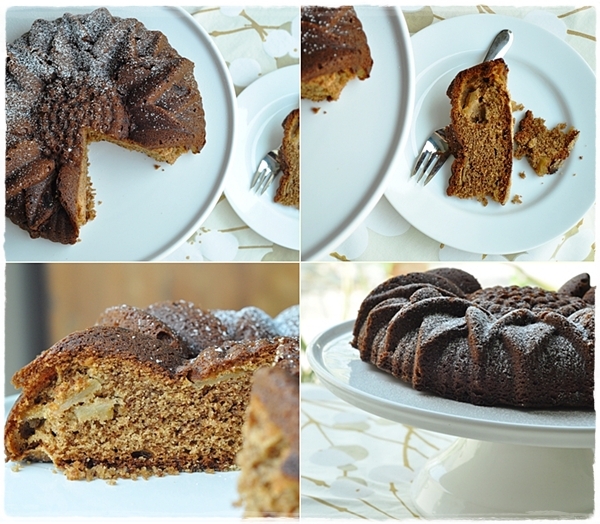 I love apple cake and this one sounds very good! Beautyful pictures!